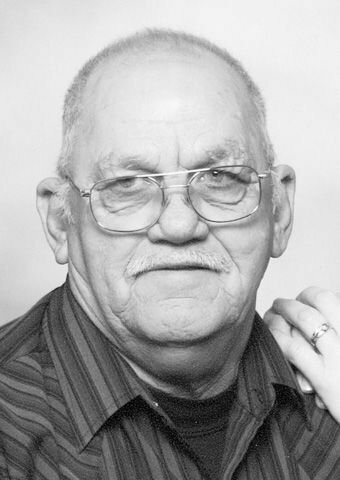 Lewis Eugene Duncan Sr., age 73, of Albia, passed away on Sunday, March 24, 2019, under the care of Care Initiatives Hospice, at his home in Albia, surrounded by his loved ones. Lewis was born on Jan. 29, 1946, in Burlington, Wash., to Lloyd and Mary Elizabeth (Smith) Duncan. The family moved to Southern Iowa in the mid-1950s and Lewis attended school in Moulton. Following high school, he joined the United States Navy and served his country from 1963-1966. On April 10, 1998, he married Sonya Stephens at the American Legion in Albia. Lewis worked as a farmhand/rancher at the Moore Ranch in Monroe County. He then went to work as a mechanic, first at a dealership in Centerville before beginning work at Duea Motor Company in Albia where he was employed from the mid-70s until 1984. Lastly, he worked for a mobile home dealership where he set up the mobile homes. Lewis enjoyed being outdoors, camping, and hunting and fishing with his best friend, Kenny Boswell. He loved to talk with others on CB radios and was part of a weather watching group that did severe weather and tornado spotting. Lewis was a very social person who never knew a stranger. He loved visiting with all his neighbors and above all, enjoyed spending time with his family and friends. Lewis is survived by his wife, Sonya Duncan of Albia; five children, Lewis McCravey of Albia, Tony Duncan of Quincy, Ill., Nathan (Dylan) Duncan of Albia, Holly (Mike) Hearn of Des Moines, and Emily Duncan of Albia; five grandchildren, Brittaney and Kayla McCravey, Grant and Allyson Duncan, and Aribella Hearn; two great-grandchildren, Asher and Elliott McCravey; two brothers, Keith Duncan and Dave (Deborah) Townsend; a sister, Kathy (Greg) Wilson; a step daughter, Teresa Anderson; and a special niece, Sandee Hietala. Lewis is also survived by several nieces, nephews, and cousins. He was preceded in death by his parents Lloyd and Mary; his stepfather, Carl Scott; a brother, Glen “Bud” Townsend; a sister, Hilda Anne Duncan in infancy; his best friend, Kenny Boswell; and a brother-in-law, David Stephens. Visitation will be held from noon to 2 p.m. on Wednesday, March 27, 2019, at the Tharp Funeral Home in Albia, with Lewis's family present to greet family and friends. Funeral services will be held at 3 p.m., Wednesday, March 27, 2019, at the Tharp Funeral Home in Albia, with Pastor Richard Grimes officiating. Military honors provided by the American Legion of Albia, Melrose, and Lovilia will follow services at the funeral home. Per Lewis’s wishes, his body will be cremated following services and a private family burial will be held at a later date. Memorials may be made to the Welcome Home Soldier Monument in Albia.